Do you know CES 2016? I think so. We are concerned about new Science and Technology in CES. Everyone loves robots, right? I know I do. We also imagined to have a robot, but it seems hard. 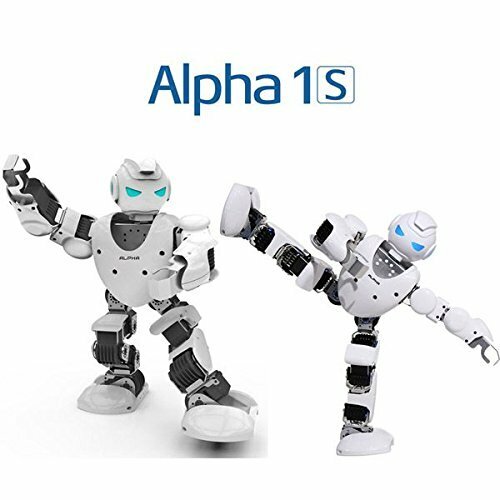 UBTECH Alpha 1s Humanoid Robot Designed For Family, Programmable, Interactable and Affordable. We also can see the Alpha 1s in the CES 2016. UBTech’s Alpha 1S promises to be an especially fun toy for grownups — or really lucky kids. we are able to use the app (for Android and iOS) to control the robot’s movements, like turning around, waving, sitting, nodding and so on. The same applies to its other functions, too. The entire machine body uses environmentally-friendly ABS plastic material, shock-resistant. Previous: What’s the Best Baby Car Seat to Buy?